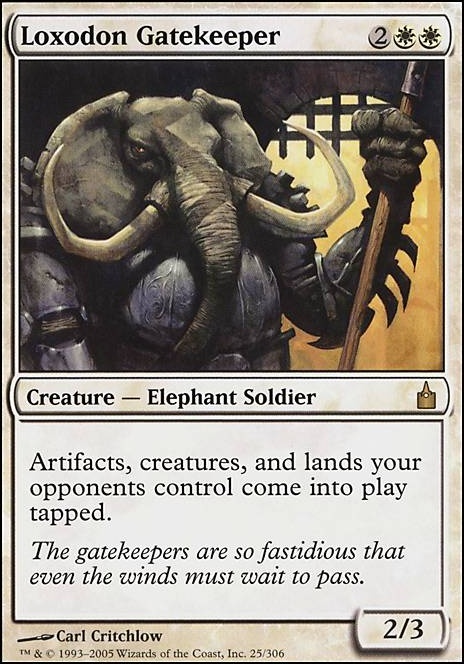 Does loxodon gatekeeper prevent the soldier creature brought onto the battlefield by preeminent captain from attacking? Artifacts, creatures, and lands your opponents control come into play tapped. You should also add Ashling's Prerogative and Loxodon Gatekeeper to the Tapping category. Really like what the deck has going on, the hatebear theme is well established, and the voltron is still prominent. Love the addition of Teshar, Ancestor's Apostle , and loving the pre release hebrew promo of Glory . But I see some things that may be better. What are your thoughts on Teferi's Protection to add to your Sunforger package? It always seems like it's a good way to bail yourself out of a really bad spot. I think either Blind Obedience or Kismet is reasonable. I don't think Loxodon Gatekeeper is worth it as it's a bit mana intensive. I assume the reason Nahiri, the Harbinger is for the loot ability, but aren't things like Dawn of Hope , Chandra, Torch of Defiance , or Chandra, Flamecaller all better options? I third Tithe Taker , the ability is really nice to have one instance of. Rant aside, really love what you've done, I think this deck is stronger than its counterpart in many ways, and I believe it's well on its way to being optimised. 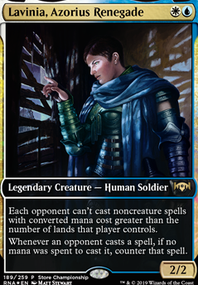 DrkNinja: Would you prefer Blind Obedience , Kismet , or Loxodon Gatekeeper here, if I were to run one? RecklessN7: Bounty Agent was one of my most recent cuts actually! 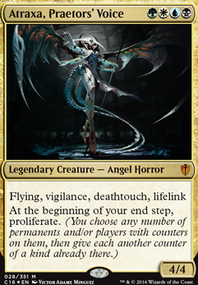 I wanted to run it as commander-hate and as a way to flip Avacyn, but it kinda got overshadowed by other things. And as I was cutting most of my self-sacrificing creatures, I ended up cutting Gift of Immortality (it no longer works with most of my options). I really like the idea of this version of the deck so far though!! Darkshadow327: Your advice has been implemented! DrkNinja: Honestly, I'm running Samurai of the Pale Curtain because I already had a foil, and it has some of my favorite typing in the game... Lol. Honestly I should probably be running both? At least she can carry a sword if I need to deal damage. With regards to your other suggestions, Ethersworn Canonist DEFINITELY should be on my maybeboard. I feel like Loxodon Gatekeeper is kinda too much mana for his effect, have you found it to be very strong? Tithe Taker is a less-good Grand Abolisher (who honestly should be in here, but cuts are hard...). 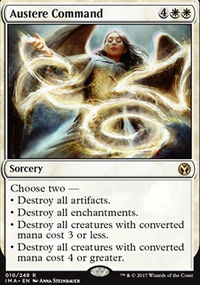 Darkshadow327: I've never run Bygone Bishop before, but I feel like he'd be rather good at dodging effects like Spirit of the Labyrinth , and the VAST majority of my creature spells are CMC 3 or less. I'm curious about testing him at least! hkhssweiss: Gift of Immortality was the MVP of my older Avacyn version, because it let me repeatedly sacrifice cards like Benevolent Bodyguard . However, I have less of those cards in this version, so it doubles as protection for my hatebears... I'm not sure if it's as good here. 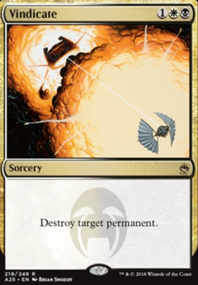 You can add Back to Basics with cards like Kismet, Loxodon Gatekeeper, Thalia, Heretic Cathar.